Moles are a commonplace to grow hairs. 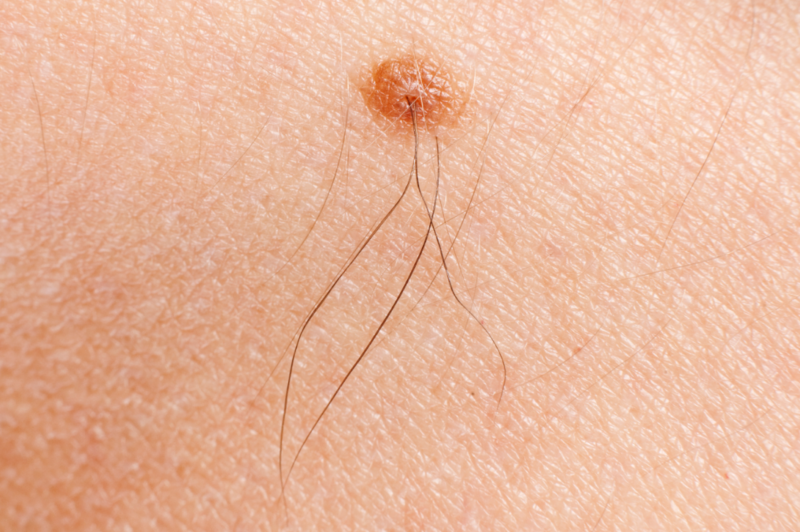 Unfortunately many of the hairs that grow from moles tend to be thick and wiry drawing in a lot of unwanted attention. At best, they will be a little thinner but you will still notice them because they are growing on your skin and you can’t help but want to yank them out with tweezers. Traditionally you cannot have electrolysis hair removal performed on a mole because it may cause the mole to become cancerous. However, if you are adamant about getting it done then it is of the utmost importance that you first get checked by a doctor to get permission. If the doctor gives the go ahead then you should give a signed consent to your electrologist to get treatment. Your only other option is to carefully cut the hairs.